Planning an epic California road trip? Whether you&apos;re heading south from San Francisco to Los Angeles or north from Los Angeles to San Francisco, the most beautiful route available is Highway 1. 129 miles of Highway 1, from Monterey through Big Sur all the way down to San Luis Obispo, has been declared an All-American Road Trip by the US Department of Transportation&apos;s National Scenic Byways Program and a State Scenic Highway by the State of California. The scenery simply can&apos;t be beat! If you&apos;re coming from the Central Valley and want a seaside road trip experience, take Highway 156 west to enjoy the most beautiful part of Highway 1. Don&apos;t miss the perfect stopping spots as you drive down Highway 1. This handy itinerary will show you where to soak up the local ambiance, so your iconic coastal road trip doesn&apos;t become a blur of pavement and yellow dashed lines. This itinerary is written as if you were driving south on Highway 1. If you&apos;re driving north, just reverse it! Highway 1 runs right through San Francisco; from the Golden Gate Bridge, it becomes Park Presidio, and then crosses Golden Gate Park to become 19th Avenue. You&apos;ll merge with I-280 for a few miles to Daly City; then Highway One splits off to the breathtakingly scenic west. Get an early morning start - not just to beat the traffic, but because you&apos;ll want to stop at plenty of scenic viewpoints on your way down the coast. As you cross the border from Santa Cruz County into Monterey County, Highway 1 swings west and comes much closer to the ocean. Enjoy the sea air and take a wildlife break at Moss Landing State Beach. Turn right at Jetty Road and follow the road as it curves to the left between the Elkhorn Slough estuary and the sand dunes. As you&apos;ll reach the end, you&apos;ll see a parking lot on your left. 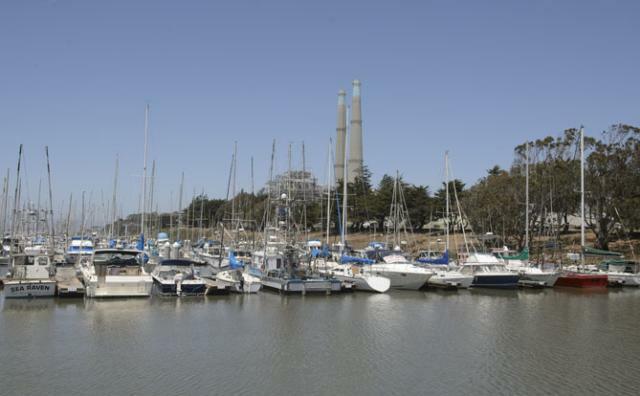 The Whole Enchilada is a Moss Landing institution. It serves up authentic Mexican food with an emphasis on fresh seafood and Oaxacan regional cuisine. It&apos;s also a great spot for people-watching; both locals and tourists frequent the restaurant. As you continue your drive south, the road turns inland again. The spiky-looking plants in the fields on either side of Highway 1 are artichokes, a Monterey County favorite. 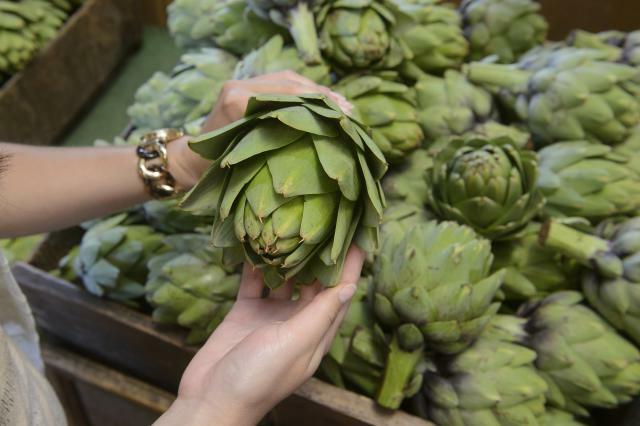 Farm stands along both sides of the highway sell fresh and deep-fried artichokes; the latter is perfect for a road-trip snack. Once the artichoke fields change over to mountainous sand dunes, you&apos;re approaching Marina State Beach. Keep an eye on the skies just above the dunes; if it&apos;s a good wind day, you should see several hang gliders flying through the sky. If you want to sit and watch them for a while, get off at Reservation Road to get to the beach. The hang gliders aren&apos;t the last flyers you&apos;ll see along the highway. 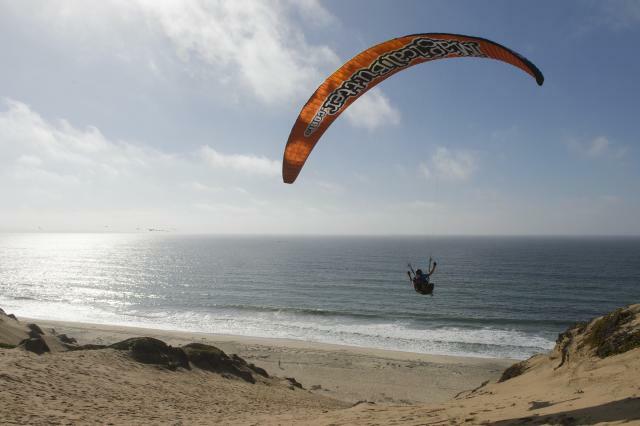 As you continue south, look for the arched, brightly colored chutes of paragliders, whose preferred spot is a few miles south of the hang gliders at Monterey State Beach. You may also see dragons and sharks in the sky; this beach is also the number one spot in Monterey County for kite-flying. Right after you cross the border into the City of Monterey, hop off Highway 1 at the Pacific Grove/Del Monte Avenue exit. Follow Del Monte Avenue for a little over a mile; when you can see the ocean out the passenger side window, keep an eye out for the Old Fisherman&apos;s Wharf sign on your right. 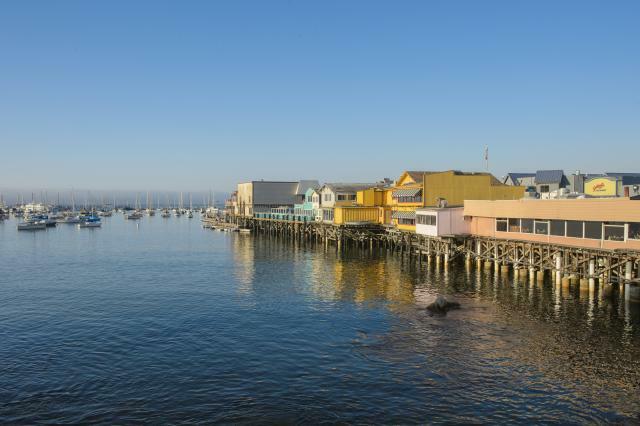 Old Fisherman&apos;s Wharf has been one of Monterey&apos;s top tourist destinations for over 50 years. As you walk to the end, try the free clam chowder samples from the vendors lining the strip. Make sure to look over the side at the water; you&apos;re likely to see otters, sea lions and seals playing in the waves, and possibly even a pod of dolphins leaping out of the water. Before you leave, get a taste of Monterey&apos;s early history by wandering through Custom House Plaza, Monterey State Historic Park and its surrounding buildings, right at the foot of Old Fisherman&apos;s Wharf. You&apos;ll see California State Landmark #1 (the Custom House), California&apos;s First Brick House, and more. You won&apos;t want to miss a second of breathtaking Big Sur scenery due to darkening evening skies, so your rest stop for tonight will be along Highway 1 in Carmel. Three different hotels each provide a very different experience. The first hotel you&apos;ll see on your left is the Carmel Mission Inn, a trendy hotel with boutique ambiance. For a more laid-back experience, keep an eye out on your right for the Carmel River Inn, a hotel and group of cottages clustered in a wooded area along the scenic Carmel River. If you prefer the ultimate in luxury, follow Highway 1 only a mile further to the Hyatt Carmel Highlands, which has appeared repeatedly on the Condé Nast Traveler Gold List and Travel + Leisure&apos;s World&apos;s Best list. All of these hotels provide a perfect home base from which to explore Carmel-by-the-Sea, the legendary artists&apos; colony that once had Clint Eastwood as its mayor. Just off Highway 1 on Ocean Avenue, the storybook cottages that line the downtown streets are full of top-notch restaurants that will satisfy your every craving. 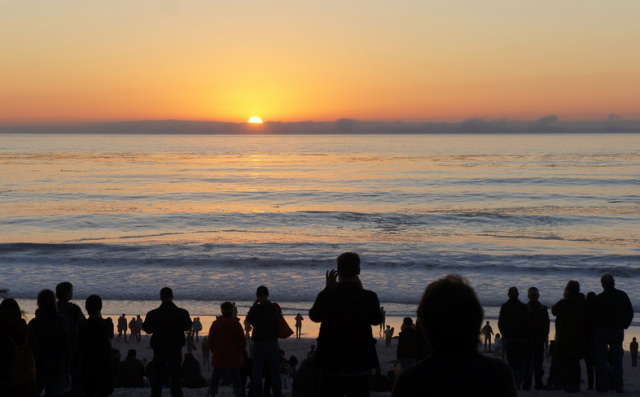 If time allows, be sure to catch a stunning sunset at Carmel Beach. Before you depart Carmel, make sure your gas tank is full and that you have used the restroom. Once you are south of Rio Road, you&apos;ll drive many miles before you see your next gas station. Get your blood flowing for breakfast with a short hike at Point Lobos State Reserve, frequently called "the crown jewel of the State Park system." When you pay admission here, your receipt will cover your admission to any other state park for the day - a great investment for a drive through Big Sur! Park at the Sea Lion Point parking area and take a walk down the Cypress Grove trail for a short hike that shows off the full range of Point Lobos&apos; natural beauty. Just a few miles south of Point Lobos, stop for breakfast with a breathtaking view at California Market at Pacific&apos;s Edge. Sit on the outside terrace for an unobstructed view of the ocean; you can stay warmer by sitting inside next to a window. 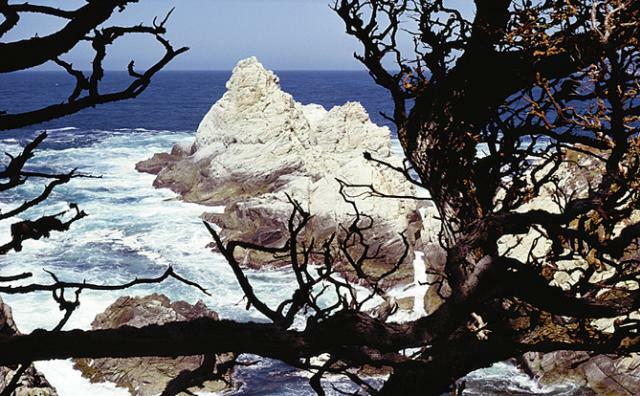 As you continue south from Rocky Point, you&apos;ll drive through one of Big Sur&apos;s best-kept secrets, Garrapata State Park. There&apos;s only one small, brown sign to mark where it begins, but small clusters of cars pulled over to the edge of Highway 1 will show you where each trailhead is. Though it doesn&apos;t look like much from the highway, take just a few steps onto one of the paths on the western side of the road and you&apos;ll see breathtaking views of sea cliffs and waves. As you continue to head south, there&apos;s two must-photograph stops along Highway 1. The first is the legendary Bixby Bridge, featured in songs, photos and many car commercials. The second is Point Sur, a large volcanic rock just off the coast with a lighthouse perched on top. This lighthouse is open on Saturdays, Sundays and Wednesdays for tours; check the page for times. The next park along Highway 1 is Andrew Molera State Park. Take the Beach Trail from the parking lot; it&apos;s only two easy miles round-trip to see the beach and get back to the parking lot. Highway 1 once again turns inland for several miles; the road is suddenly lined with redwood trees. A handful of shops, artist&apos;s galleries and restaurants will pop up on both sides of the road; stop at Studio One next door to the Big Sur River Inn to view one of the region&apos;s best galleries. There are many great places to stop for lunch, but for an iconic Big Sur experience, dine at Nepenthe. Diners eat at long tables where all seats face out toward the coast; when you see the view, you&apos;ll understand why. Just a short distance south of Nepenthe on the east side of the road is the Henry Miller Library, a bookstore, gallery and community space for Big Sur. The building is in the middle of a redwood grove; peruse their shelves, stretch, and get a cup of coffee for the road. Your final must-photograph spot in Big Sur is McWay Falls at Julia Pfeiffer Burns State Park. The falls are just a short walk west along the aptly-named Waterfall Trail from the parking lot. When you see it, you&apos;ll understand why it&apos;s one of the most photographed spots in Big Sur. 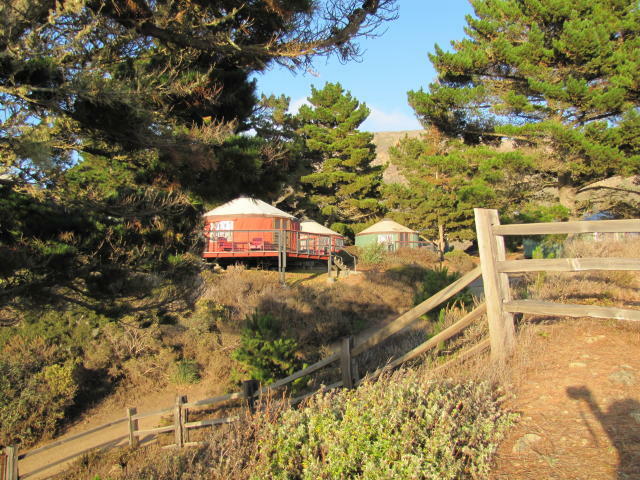 For a truly unique Big Sur overnight stay, reserve a yurt at Treebones Resort, about 25 miles south of Julia Pfeiffer Burns State Park. This eco-friendly resort uses renewable energy to heat its pool, hot tub and buildings and blends harmoniously with its natural surroundings while providing guests with creature comforts. Their in-house restaurant uses vegetables grown on-site. You&apos;re now just a half-hour north of Hearst Castle, and at the very southern edge of Monterey County! Say goodbye with a breakfast stop at the Whale Watcher Cafe in Gorda, Monterey County&apos;s southernmost coastal settlement. 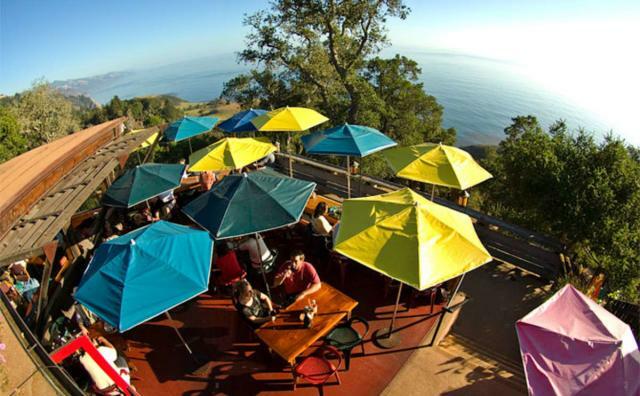 Just a mile south of Treebones, this cafe has a patio perfectly situated to allow diners to overlook the Big Sur coastline and watch the whales swim by.